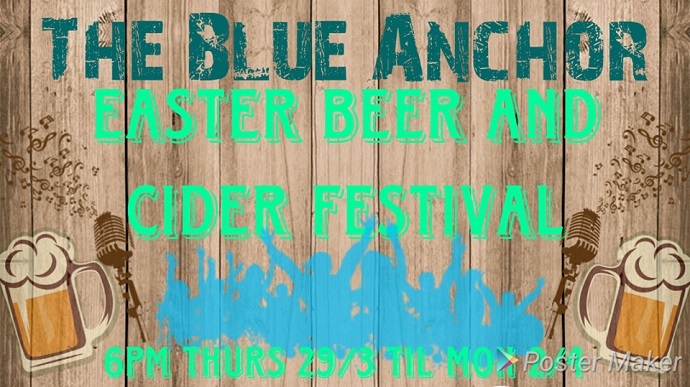 The Blue Anchor in Teignmouth is pulling out all the stops for its Easter Beer and Cider Festival. Kicking off on Thursday 29th March, there's a spectacular line-up of over 50 real ales and ciders, including our very own Jail Ale, Legend, and the splendidly different Three Hares (enriched with moorland honey!). Outdoor games, live music and good food complete the Easter Weekend line-up at the Blue Anchor. 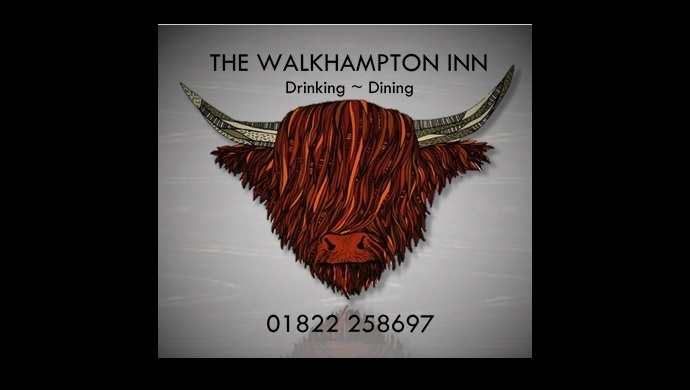 The Walkhampton Inn on the edge of Dartmoor is celebrating the long Easter weekend with a five day Beer and Cider Festival. Affectionately known as the "Wacky", this superb 17th Century country pub can be found at the heart of the tiny village of Walkhampton on the edge of Dartmoor. Recently under new management, the Walkhampton Inn is already attracting a loyal following of locals, and not-so-locals, thanks to its great line-up of local beers, hearty pub food at appetising prices, blazing fires and a warm welcome. 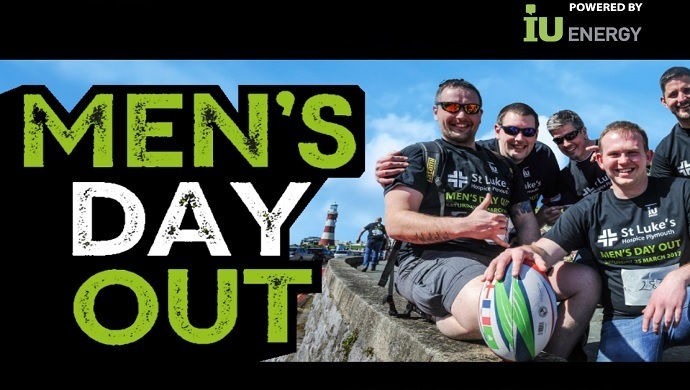 Dartmoor Brewery is providing a little extra craft ale refreshment for those taking part in this year's Men's Day Out in aid of St Luke's Hospice. Spring is on the way, so it's time to look forward to a feast of beer festivals up and down the land. We're definitely looking forward to the Bicton Inn Beer Festival for starters! 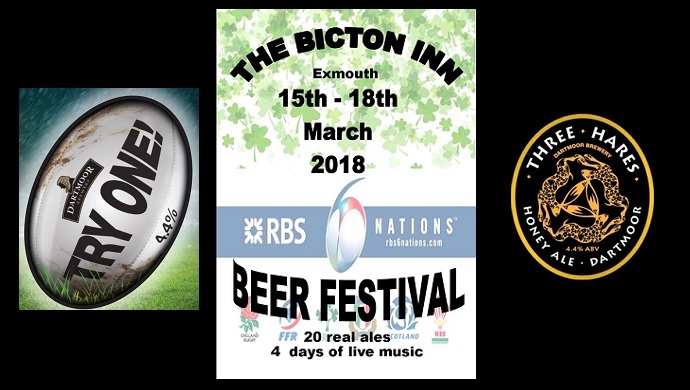 The Bicton Inn Beer Festival (15th - 18th March 2018) features a tempting line up of 20 great real ales, including two favourites from our own stable - the brilliant honey-enriched Three Hares, and a newcomer from our Discovery range - the rugby inspired Try One. As if the ales weren't enough, there's also a great line-up of toe-tapping live music throughout the festival.